12/30/04 - See Current Events. 12-24-04 - Interview with David Silva. A safe and correct seasonal message to cuke.com readers. 12-21-04 - Another lecture by Shunryu Suzuki that was used in the recent book of his lectures, Not Always So, edited by Ed Brown. As of 9:00 a.m. am still uploading the site little by little back up on new server so don't worry for now if links don't work. 12-20-04 - Hi there. Been away from this site a while - working on the election site, Election Countdown Calendar Dot Com (which is closed), and then just taking a break from web-siting for a while and working on the barn and grounds here wherever it is I am. Also been upgrading soft and hardware and am now reloading cuke.com to a new server. So for a while it won't all be here. Soon will be getting a super fast connection to replace this super slow country one. I lost the last entry which was a mention of John Tarrant's new book, Bring me the Rhinoceros with an image of the cover. That was done from my laptop which is on the fritz and I never downloaded it on the desktop so will have to redo. Meanwhile, here are the blurbs from Bring Me the Rhinoceros. 11-08-04 - Lena Berman is interviewing Michael Wenger of the SFZC tomorrow on her show, Your Own Health and Fitness with Layna Berman, Tuesdays 1 pm to 2 pm, and she said she was going to mention cuke.com as a place to find out where to practice in Suzuki Roshi's lineage, so I talked to her about that page and updated it and made it easier to find. 11-06-04 - A memorial service for Bill Lane will take place at the City Center on Page Street in San Francisco on Saturday, Nov 27th at 3 pm. 10-24-04 - Della Goertz moving from 340 Page to Napa where those who know her may visit. 10-13-04 - Interview with Bill Lane and emails from Tony Patchell about Bill. 10-06-04 - Go to Back Porch Zendo for an invite in Sonoma County to hear Bearing Witness in Columbia , Walking with the Peace Community of San Jose de apartado, a presentation Sarah Weintraub is giving in the Bay Area this month. See the Buddhist Peace Fellowship site announcement of her talk at the SFZC Oct. 1. 10-03-04 - Our dear friend, Suzuki Roshi student Bill Lane, died last night at 9:35. See Sangha News for more. 9-24-04 - A memorial tree planting for Allan Stone on October 9th. 9/18/04 - Another lecture by Shunryu Suzuki that was used in the recent book of his lectures, Not Always So, edited by Ed Brown. 9/13/04 - Don Allen, first editor of the Beats and early advisor to Shunryu Suzuki and the Zen Center, dies at 92. See Sangha News, Don Allen. 9/06/04 - In Sangha News check out this notice of a talk to be given next Saturday in Santa Rosa by Suzuki disciple Paul Discoe. 9/05/04 - 9/05/04 - Go to Shutterfly to see Reuven Ben Yuhmin's 32 fine photos of us old geezers at the Shunryu Suzuki 100th birthday bash at the SF Zen Center's City Center and Green Gulch Farm and at Greens Restaurant last May. 9-03-04 - Go DC Idea to read about the Election Countdown Calendar. 8-27-04 - Not Seeking a volunteer to work at the Audio-Visual Archive of the LTWA (Library of Tibetan Works and Archives) in Dharamsala, India - until they get more funding. 8/19/04 - A 11/06/68 Pacifica Radio Interview with Shunryu Suzuki and Richard Baker. Also, more comments on DC ideas. 8-13-14 - At last, something Buddhist - a new lecture by Shunryu Suzuki. Now there's another - only one at a time. 8-11-04 - a DC idea. 8-01-04 - Welcome to August. This morning there is a new look to In Defense of Bush with an actual photo of its founder Ned Needleman (known for his shyness and disdain for photos of himself) and two new episodes. 7/31/04 - And then there's Geobacter. 7/31/04 - Now there are five episodes of In Defense of Bush. This is all for today but I will be ready for more later. And I just stuck another photo by Tom Reichert, one of Clay, in the Skits and Skates Vacation Report. 7/31/04 - faulty link for prior listing fixed. 7/27/04 - Letters from Shunryu Suzuki to Grahame Petchey, Helen Walker, and Elsie Mitchell. Elsie's were put on here a while back. The others are new to the site. The Walker one is pretty far out. 7/26/04 - Interviews with Grahame Petchey, first to be ordained as a priest by Shunryu Suzuki. 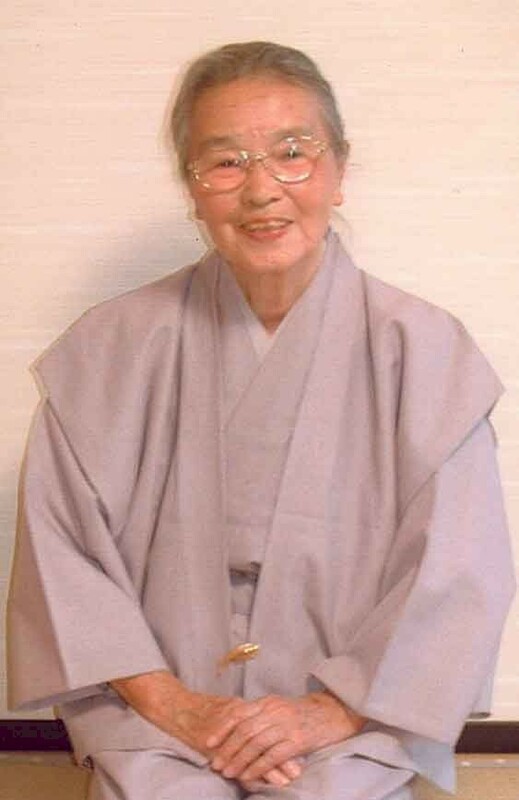 7/25/04 - Interview with Pauline Petchey, Suzuki student and first priest's wife. 7/23/04 - Just added three photos to the July Vacation Report below. 7/22/04 - Skits n Skates, July Vacation Report in excerpts/articles. 7/21/04 - Emails from Ardis Jackson, early Suzuki student and ZC mom. 7/19/04 - Greetings. Stayed away a little longer than planned. Did two interviews at Tassajara. Here's one of them, with Clarke Mason. 6/30/04 - A new lecture by Shunryu Suzuki though this one is gone and replaced by another. An announcement of a Zazen Weekend with a photo of the Crestone Zen Mountain Center Zendo. Also, see new stuff in Current Events. 6/24/04 - The Psychic, another Japan Story. And a serious edit with new asides of A Dog and His Man. A digression - Read Rex Reed's review of Fahrenheit 911. 6/23/04 - A Dog and His Man. - I visit an old friend in Japan Stories. 6/22/04 - an Interview with Bill Shurtleff, Zen man, soybean man. 6/14/04 - Seeking a volunteer to work at the Audio-Visual Archive of the LTWA. See immediately below. Look to the bottom of Two Jobs for a Monk to see Dr. Rick Levine's memory of this ongoing discussion. 6/13/04 - cuke.com is out to help fund the incredibly important work being done in Dharamsala, India, to preserve a vast record of Tibetan culture and teaching at THE AUDIO-VISUAL ARCHIVE of the LTWA - the Library of Tibetan Works and Archives. Also, I read through the Kazumitsu Kato interview that went up recently and, in checking on facts, found that he's back in America and giving talks at Zenshuji in LA. There's a lot by him on that site about Zen history in America and more. 6/12/04 - a chronology of the life of Shunryu Suzuki. Also, more clarification on the source of the Gary Snyder quote about the two jobs of the monk being to sit zazen and sweep the temple. Just go to that link and go down to his email and my response. 6/10/04 - There's a lot happening with Judaism and Buddhism these days. To be up to date on this subject, read Jewish Buddhism. 6/08/04 - Interview with Ananda (Claude) Dalenberg, Zen pioneer. 6/06/06 - Rest in peace and become a Buddha and thanks to you Ronald Reagan for the nuclear freeze type agreements with Gorbachev at the end of your presidency and thanks for appointing C. Everett Koop. And, lest we forget, 66 (unflattering) things about Ronald Reagan in digressions. He looks good compared to Bush but let's not kid ourselves. 6/04/04 - Interview with Nanao Sakaki, godfather of Japanese hippies - doubling as another Japan Story. 5/031/-4 - Happy Memorial Day - and while we're enjoying the day off, nine bows to all the people who have died and survived fighting tyranny and also those who have died while caught up in government madness, power plays, and greed. 5/30/04 - The first in a series of pieces on my recent travels. In Japan Stories, Finding the Conch. 5/29/04 - Read the latest announcement from the Back Porch Zendo in Occidental, CA, in West Sonoma County an hour north of San Francisco. 5/28/04 - Congratulations to Vanja Palmers on the opening of his new zendo - here is the invite in English and German - go on and crash if you're in the area. The zendo is in the Swiss Alps above Lake Lucern. Tell him DC sent you. 5/22/04 - an interview with Steve Weintraub. 5/18/05 - Fish Like Him, the first in a new section called Japan Stories. It might be the last too - who knows? 5/16/04 - Washington Post obituary on Philip Kapleau who died on May 6 added to prior announcement and comments. 5/15/04 - Hi. Back from the Noh Race at Tassajara. Please excuse me for contaminating the purity of this obscure Buddhist archival site with mere petty politics, but I want you to read this FOX interview with John Kerry which was recommended by Taigen. 5/10/05 - Reflections on the Horrible Photos from Iraq in diversions/current events. 5/07/04 - Philip Kapleau died yesterday at 91. 5/05/04 - Happy Cinco de Mayo! We're all thinking a lot about security these days and the politicians and media and everyone are debating and flailing about but very few are paying attention to actual threats to the continuation of the species. So now, as a trivial diversion from the core purpose of this site, let us go to Species Threats. 5/04/04 - Interview with Taizan Maezumi Roshi, founder of the Los Angeles Zen Center. 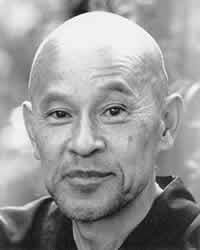 4/28/04 - Interview with Kazumitsu Kato, the young monk in charge of Sokoji, the Japanese-American Soto Zen temple on Bush Street in San Francisco, when Shunryu Suzuki arrived in May of 1959. 4/27/04 - Paul Shippee, whose interview was recently put on this site, and the Stupa at Shambhala Mountain Center in Colorado and something her wrote about that type of stupa. Also, DCs comments on this stupa. 4/24/04 - Ryuho Yamada in the last chapter of Crooked Cucumber. 4/23/04 - An incredible interview with the late great Ryuho Yamada. More to come next week. NEWS FLASH!!! - Terry Jones of Monty Python with an amazing revelation taken from the Guardian on why we're in the mess we're in. In Digressions, Current Events. 4/21/04 - A long interview with Robert Beck with input from his former wife Anna and their son Adam. The Becks sold Tassajara to the Zen Center in December of 1966. And a special congratulations. - and later in the day, that was four a.m. or so, have added a photo. 4/13/04 - Thanks to various benefactors and to a compassionate person in Germany who responded to the personal note just below. 4/08/04 - Interview with Paul Shippee. 4/07/04 - Interview with the Author - a little diversion from the gang here at cuke.com for you, dear reader. 4/06/04 - Excerpts from letters from anonymous about Shunryu Suzuki and Adi Da. 4/05/04 - Made some editing changes to A Taste of Persimmon: a weekend with Da, mainly his photos and devotees (experiences at the community of the man now called Avatar Adi Da Samraj). 4/02/04 - Check out this piece just written for your reading pleasure. It's called A Taste of Persimmon: a weekend with Da, mainly his photos and devotees (experiences at the community of the man now called Avatar Adi Da Samraj). 4/01/04 - I would like to take this opportunity to announce that I, DC, have been hiding behind this mask of being a bumbling story-teller and Zen failure and that I and I alone am He who has come to save thee. All you need to do to be awakened to ultimate truth is to repeat the following mantra which I have brought with me from the non-dual realm to you poor nincompoops to give you complete release from all of your self-inflicted suffering. 3/31/04 - A new book by Lew Richmond, A Whole Life's Work: Living Passionately, Growing Spiritually, and one by Ivan Richmond's Silence and Noise: Growing Up Zen in America as well which is listed in the bibliography just before his father Lew's books so I won't put in another link here. 3/30/04 - Something I should have had on here before I left in the summer of '03, there's going to be a birthday bash for Suzuki-roshi's hundredth birthday. He died at 67, of course, but this is an opportunity for those who study his way or who were touched by him in some way to get together. 3/29/2004 - And here's a new lecture by Shunryu Suzuki with both a Verbatim and a lightly edited version [no longer on site - only one lecture at a time - see the one that's on there now] - given on Friday, February 5, 1971 at the City Center in San Francisco. It was used by Ed Brown as a source for a chapter of the new book of Suzuki lectures called Not Always So. Kyoto Journal (Perspectives on Asia) - an excellent magazine out of Kyoto, once called by Howard Rheingold of the Whole Earth Review, the best magazine in the world, with a good solid web site that is informative and being upgraded right now - 3/26/04. Back issues to the first in 1987 are available and each one is superb. It's ridiculously non profit for a publication so professionally well done. These guys want to keep it a labor of love and earn money in other ways. If I did it I wouldn't have another job, but I guess that's why it's so good. This group led by Abbot John Daido Lori, seems to have their act together. With Dharma Communications, they have the same initials as me - coincidence? 3/26/04 - See, here I am back the next day and with the exciting announcement that the results of the contest are in! Our panel of judges have scrutinized the entries to the contest and have judged that no one got the right answer. Go to the following link to the 2nd Contest to read the entries and learn the shocking truth. 3/25/04 - Good to be back after nine months away. An interview with Michael Gilmore - old Suzuki student, artists and card reader, Vietnam vet - meet AA's Buddha Mike - plus a link to his website. Back after nine months of goofing off! Please excuse the absence. Exciting postings are guaranteed frequently or your money back.